The scariest thing about the latest flick from Jordan Peele isn’t the killing on screen, it’s the trolling online. 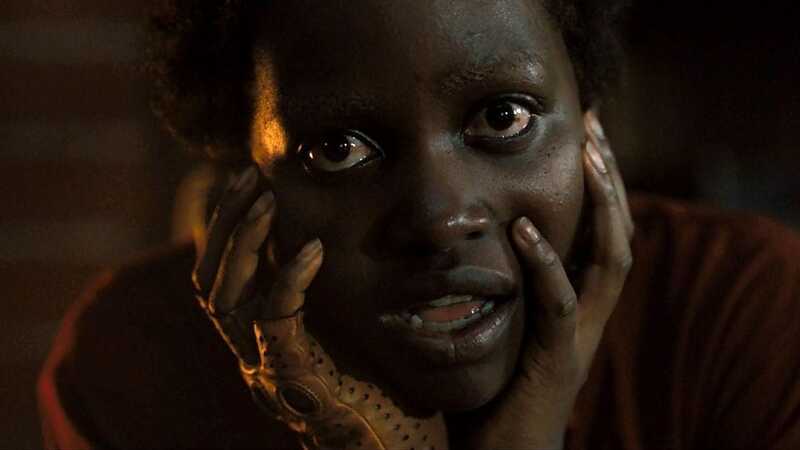 Us, the bloody tale of a Black family attacked by creatures who look just like them, raked in an estimated $70 million at the box office this weekend, which Variety reports is the biggest opening for an original horror movie in Hollywood history. But as of this writing, Us has a 94 percent rating from critics on the review aggregation website Rotten Tomatoes, but only has a 71 percent rating from users, the supposedly regular people like you and me who use the site. Lots of theater-goers use the website’s scores to figure out what they’re going to see when they go out to the multiplex, so a low audience rating can potentially cost a movie money at the box office. Who knows how much bigger the Us opening could have been if users hadn’t been trolling it online? We all read about the armies of sexist trolls who tried to take down the female-fronted superhero film Captain Marvel by posting bad reviews of the movie on Rotten Tomatoes before it had even opened–the site had to permanently disable the pre-release user rating function to deal with all the hateration. Captain Marvel still registered a deservedly massive $153 million opening this month to land at No. 1 at the box office. Many of these Rotten Tomatoes reviews try to hide their racial animosity by attacking the acting, or the directing, or the Twizzlers at the candy counter, or anything they can come up with to disguise what’s likely the real reason they despise movies like Us: they just don’t like black movies. A user named “Brendan D” gave the Oscar-winning movie Black Panther a single-star rating, writing “Terrible cinematography Hard to follow in a darkened scene [sic]” Do we really think Brendan had a problem with the dark scenes–or the dark people? I know what some of you are thinking. You’re thinking it’s not that deep, that critics and fans disagree all the time. But the thing is, critics usually are the ones who are tougher on box office hits. Avengers: Infinity War scored an 85 from critics, but got a 91 from users and Deadpool 2 got an 83 from critics but scored an 85 from users. But when it comes to high-profile African-American movies on Rotten Tomatoes, the script gets flipped. Virtually every major black-themed movie from the last year or so that got raves from critics got roasted by Rotten Tomatoes users: Get Out (98 from critics, 86 from users); BlacKkKlansman (96 from critics, 83 from users); If Beale Street Could Talk (95 from critics, 69 percent from users); Sorry to Bother You (93 from critics, 71 from users); The Hate U Give (97 from critics, 81 from users) and Black Panther (97 from critics, 79 from users). Even more suspiciously, Green Book, a movie co-starring a Black actor that was directed by a white filmmaker, got a 78 percent from critics on Rotten Tomatoes, but a 92 percent from users. Clearly something is going on here. Clearly groups of trolls are organizing to use online ratings tools to try to degrade black art, and to scare consumers away from supporting black movies. But most of us know that what’s happening online is the same as what’s been happening offline since the days when Plymouth Rock landed on us. At school, or at a traffic stop, or walking down the street while Black, or sitting in our college dorm while Black, we too often get judged more harshly, not because we’re doing anything wrong, but because we’re doing something too well. Rotten Tomatoes is just putting on full display the reality that Black people experience every day in their real lives. The user ratings system on the website is supposed to be an outlet to give real people a voice. But when it comes to black people and marginalized communities it too often provides a platform for bigots to mass together to spew sexism, intolerance and straight-up race hate all masquerading as criticism. Just like in Peele’s movie, sometime Us is the enemy. C.J. Farley is the author of the new novel Around Harvard Square.